At its annual election, the federation has elected Paul De Bruycker, who represents CEWEP’s Belgian member, Belgian Waste-to-Energy (BW2E). Mr. De Bruycker replaces Ferdinand Kleppmann, the founder of CEWEP and President of more than 15 years who is retiring. The new President also sees a bright future for the sector. 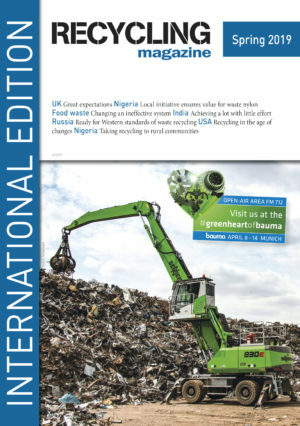 “More than ever Waste-to-Energy will play an essential role in the realisation of a sustainable integrated waste management approach. Waste- to-Energy will not only deal with non-recyclable waste and turn it into energy and valuable products but will also play an essential role in making the circular economy happen” said Mr. De Bruycker. In 2016, the European Union recycled 47 percent of all beverage cartons placed on the market, or some 430.000 tonnes, according to the latest industry figures gathered by ACE, the Alliance for Beverage Cartons and the Environment. The 2017 model of Höcker Polytechnik’s PHSS shredders was constructed on a completely new basis and is now even more powerful and flexibly applicable.